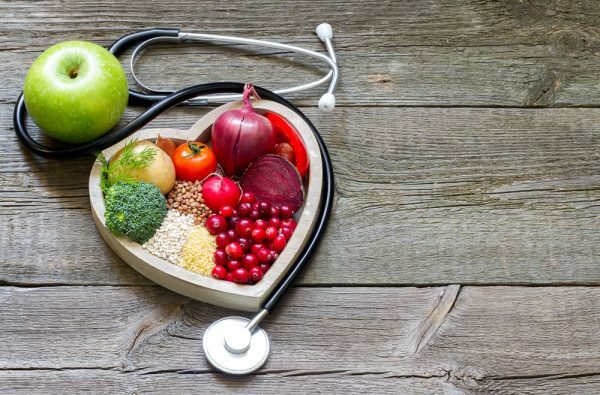 When it comes to keeping your heart healthy, one of the most important things you can do is to eat a balanced diet, filled with vegetables and fruit. 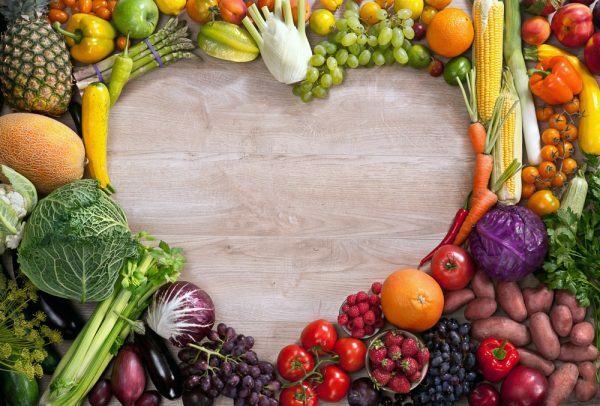 What’s the heart health connection with vegetables and fruit? 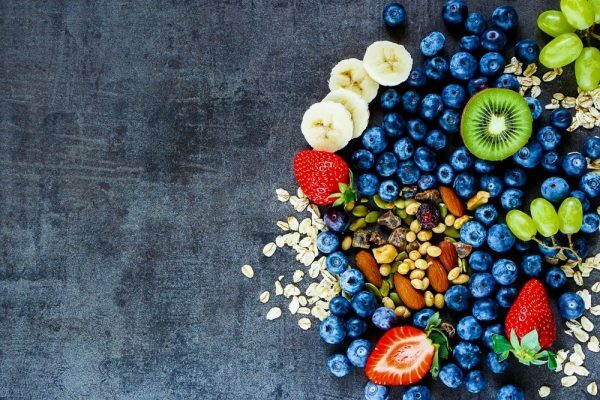 Vegetables and fruits are nutrient rich, packed with fibre, vitamins, minerals, phytochemicals (natural plant compounds) and antioxidants that work to protect your heart such as potassium, folate, vitamin C and beta-carotene. A big bonus! Most vegetables and fruit are also low in calories, so you can eat a lot of them, getting important nutrients for your heart, without breaking your calorie bank. 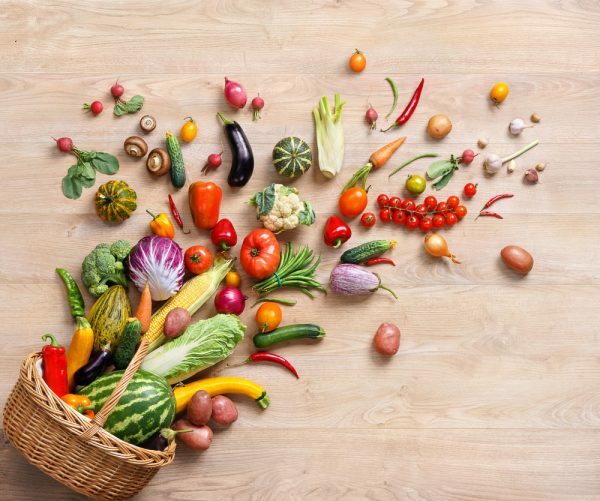 Which vegetables and fruits should you eat? 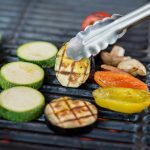 Each vegetable or fruit offers it’s own unique package of heart healthy nutrients, so eating a variety of different produce is important. 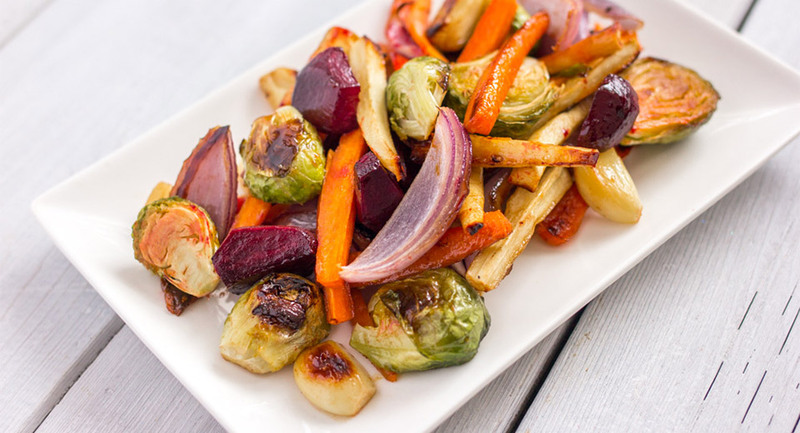 Vitamin C-rich vegetables and fruit. Some of the best sources include: peppers, broccoli, cabbage, Brussels Sprouts, cauliflower, kale, guava, papaya, kiwi, oranges, strawberries, pineapple, grapefruit, and cantaloupe. 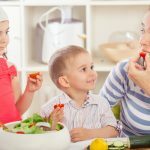 A simple and healthy way to increase the quantity of produce you are eating is to enjoy a variety of vegetables and fruit. Plan to have vegetables and fruit at each meal, as well as your snacks, to make sure you’re getting enough. Add a little sunshine to your morning! Put citrus fruit in your breakfast bowl. Build a breakfast parfait. 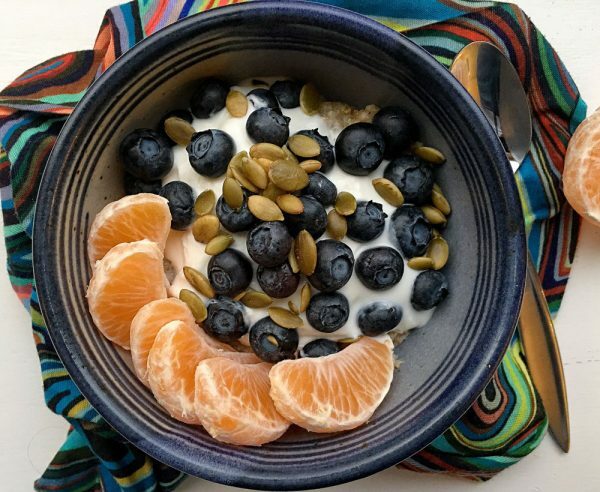 Add clementine segments or chopped oranges, blueberries and pepitas to plain Greek yogurt. Sprinkle with a little homemade granola. Go green! Add dark leafy greens to your lunchtime routine. Pack a power bowl featuring leafy greens. Try this tasty combo: baby kale, arugula or spinach topped with chickpeas or black beans, a hardboiled egg, brown rice or quinoa, roasted cauliflower (or any leftover roasted veg), chopped carrots, cucumber and snap peas. Pack it: make the salad the night before (without dressing), pack it in your lunch bag and store it in the fridge. When you’re ready for lunch, drizzle with dressing and enjoy! Veg out in the afternoon! Make your afternoon snack a veggie-based one. 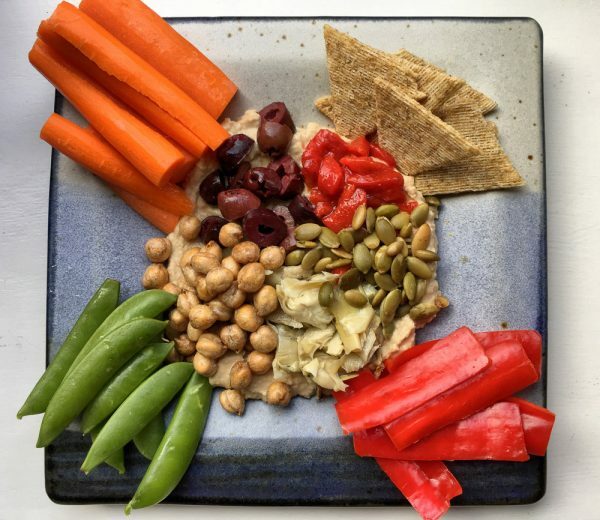 Create a crunchy veggie dip by topping hummus with sunflower seeds. Good to dip: grape tomatoes, carrots, orange or red pepper and cucumber. Have a sweet tooth? Enjoy nature’s candy — fruit — for dessert. Spread crisp apple slices with peanut butter or almond butter and a small piece of good quality dark chocolate. Be good to your heart! How will you add more vegetables and fruits into your day? He FJ et al. Increased consumption of fruit and vegetables is related to a reduced risk of coronary heart disease: meta-analysis of cohort studies. J Hum Hypertens. 2007 Sep; 21(9):717-28. Bhupathiraju SN et al. Quantity and variety in fruit and vegetable intake and risk of coronary heart disease. Am J Clin Nutr 2013;98:1514-23. Shannon Crocker MSc RD is a registered dietitian, nutrition writer and good food content creator. When she’s not writing about food and nutrition, she’s talking about it. A lot! 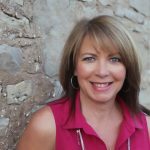 Shannon appears regularly in radio and television media, facilitates wellness classes and is a professor at the Canadian Food & Wine Institute where she teaches nutrition to future chefs. 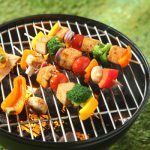 Shannon shares her passion for simple, good foods that nourish a healthy, vibrant life on her blog Be Simply Vibrant.